CAE simulators helped Royal Canadian Air Force (RCAF) CH-147F Chinook, CH-146 Griffon, and CC-130J Hercules aircrews currently supporting the United Nations Task Force in Mali to virtually experience the West African country before they embarked on the actual operational mission. RCAF CH-147F aircrews from 450 Tactical Helicopter Squadron at Petawawa, Ont. ; CH-146 aircrews from 408 Tactical Helicopter Squadron in Edmonton, Alta. ; and CC-130J aircrews from 8 Wing Trenton, Ont. ; all prepared for the mission in CAE-built full-mission simulators. 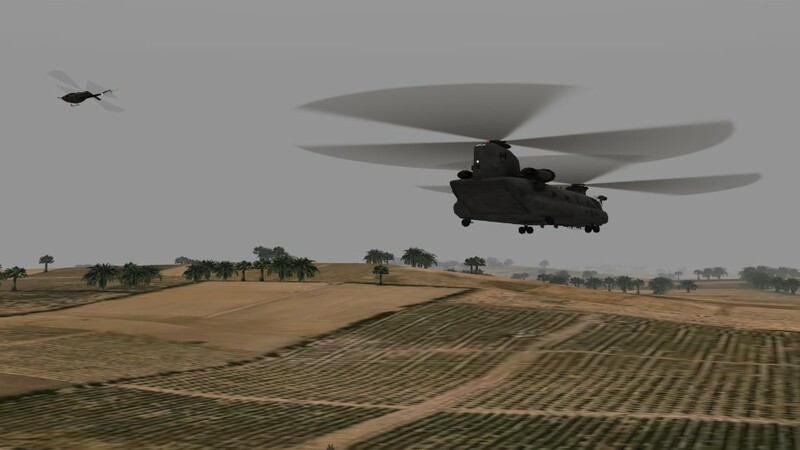 CAE developed a high-fidelity virtual database of Mali based on the Open Geospatial Consortium Common Database (OGC CDB) to be used in the CH-147F Chinook and CC-130J Hercules simulators, and a generic database of the Mali area for use in the CH-146 Griffon simulator. CAE also created highly-detailed and realistic virtual operational training areas. Instructors from CAE then worked closely with RCAF personnel to create lesson plans so aircrews could rehearse a range of missions, including aeromedical evacuation, in the virtual world.